Anteneh started as a trader from Limmu. 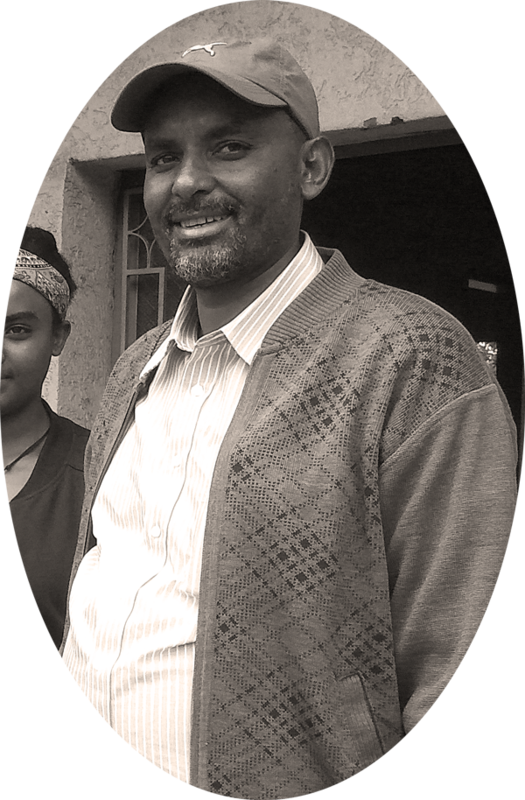 Ten years ago, he obtained land to farm coffee and Wabe Sombo Farm was born. In Ethiopia, many of the forests are converted into coffee farms and the tall trees are kept. From a distance one can only see a large forest with very old and beautiful trees, which protects all of the 86 acres of the Wabe Sombo coffee trees. The journey to this farm is not for the faint of heart. It starts with an eight-hour trip from the capital of Ethiopia, Addis Ababa to Jimma; another three hours to the city of Limmu; a mostly dirt road to the town of Wabe Sombo and a ten minute motorcycle ride to Anteneh's. Anteneh employs 100 workers, who are mostly from nearby villages, in the first month of the harvest and increases to 200-300 people from the second month until the end of the harvest. The improved Heirloom variety seed Anteneh germinates and plants combined with farm location at a high-altitude results in a very complex coffee. Coffee beans go through the natural process and is dried on raised beds, never leaving the farm until it is ready to be shipped. For us at Seattle Coffee Works it is our first time working with Anteneh, but we are hopeful that this friendship and relationship will continue to flourish.